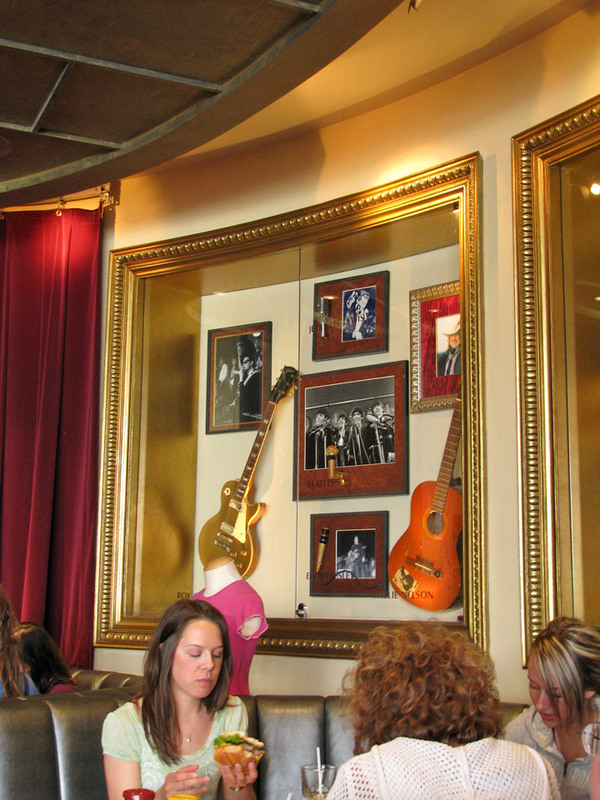 Hard Rock Cafe was founded in 1971 by Isaac Tigrett and Peter Morton, and their first Hard Rock Cafe opened near Hyde Park Corner in London, in a former Rolls Royce car dealerships showroom close to Hyde Park, where in 1979 they began to cover the walls with rock 'n' roll ephemera. The current owner is the Seminole Tribe in the United States. 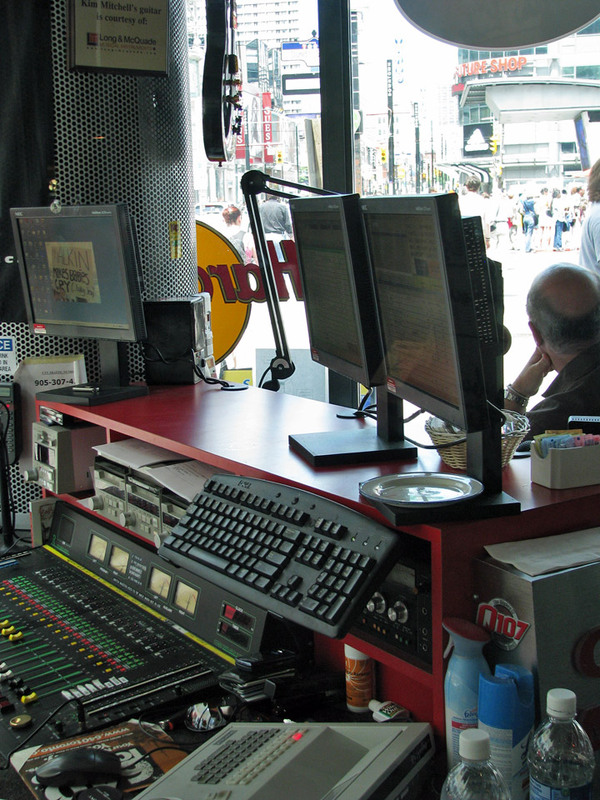 There are more than 143 Hard Rock Cafes in over 36 countries at present, with several more in the works. 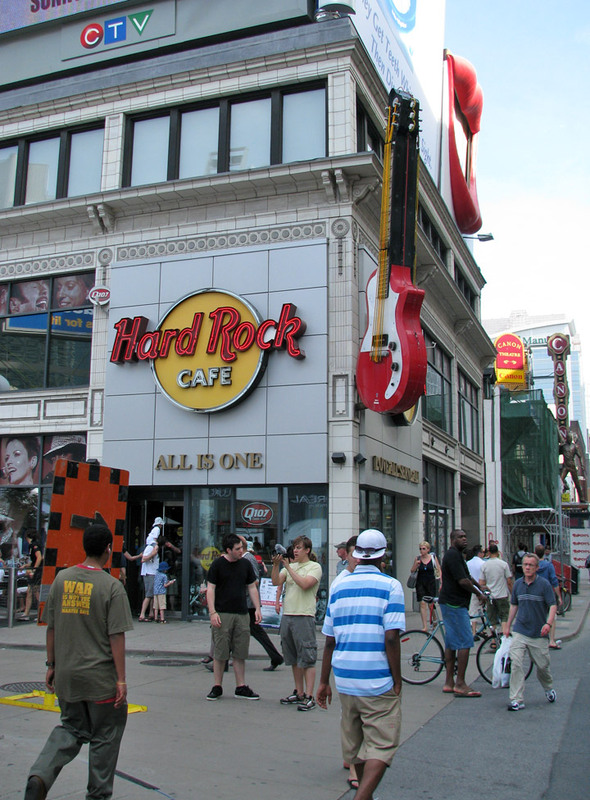 Hard Rock was most popular in the 1980s when some people engaged in the hobby of visiting as many locations as possible and collecting a Hard Rock T-shirt bearing the Cafe logo and the location name. The cafe was reportedly named after side one of The Doors' 1970 album Morrison Hotel, which was in turn named after a now-closed bar in downtown Los Angeles depicted on the back cover of Morrison Hotel. 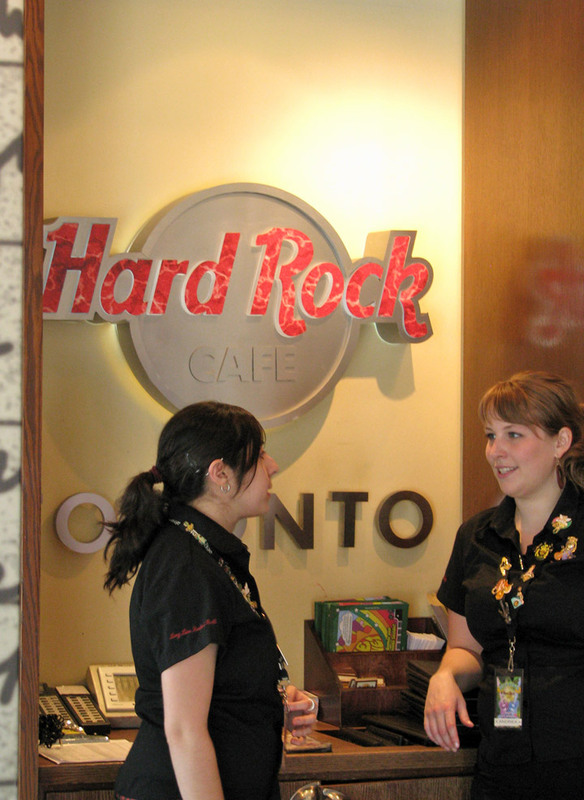 The Hard Rock Cafe's motto "Love All, Serve All" was adopted from Tigrett's guru Sathya Sai Baba. 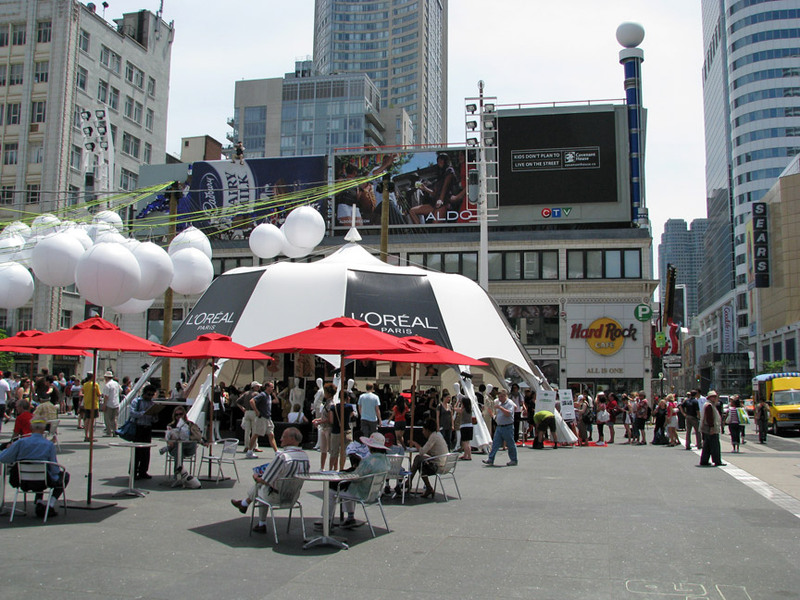 A second location, originally developed by an unaffiliated group and later purchased by Hard Rock International, opened in downtown Toronto in 1978. 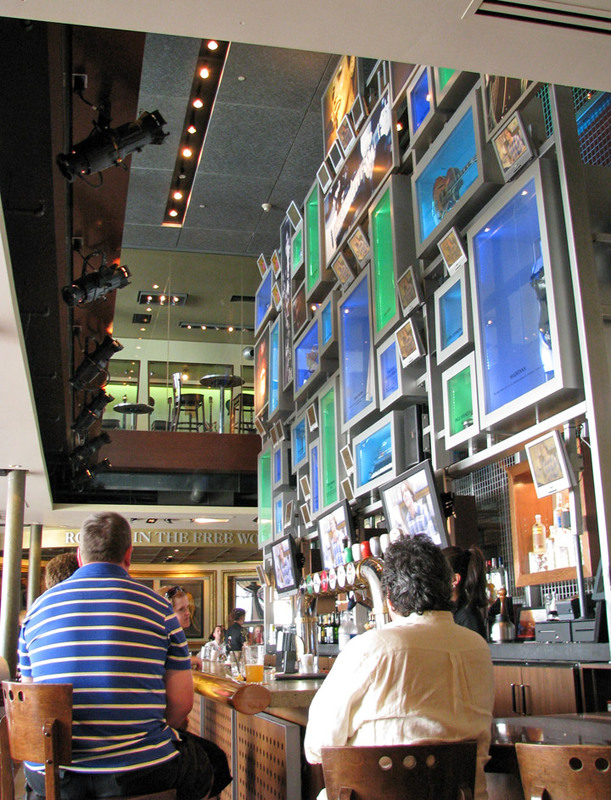 Hard Rock is better known for its atmosphere than its food. 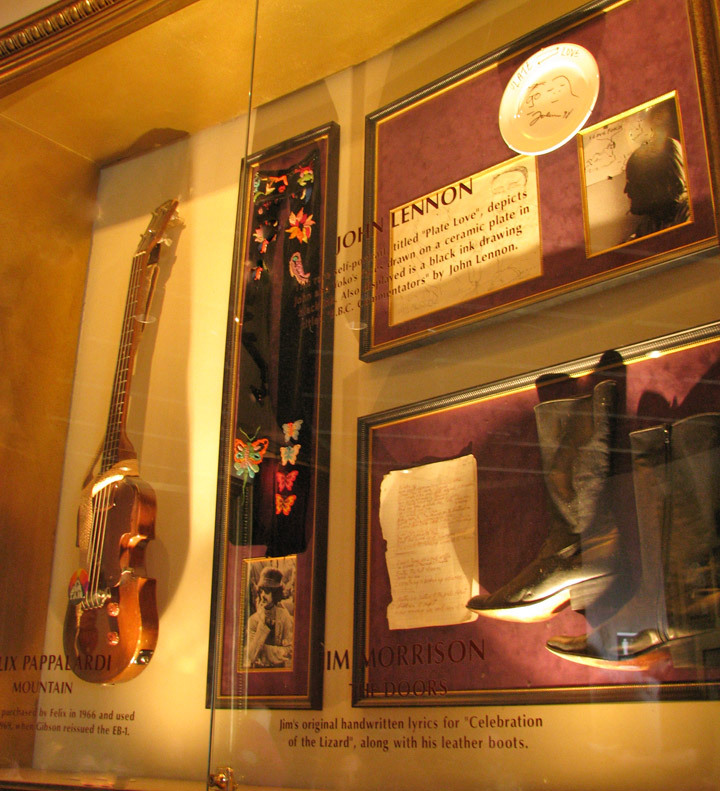 The cafes not only solicit donations of music memorabilia, but also purchase a number of items at auctions around the world. 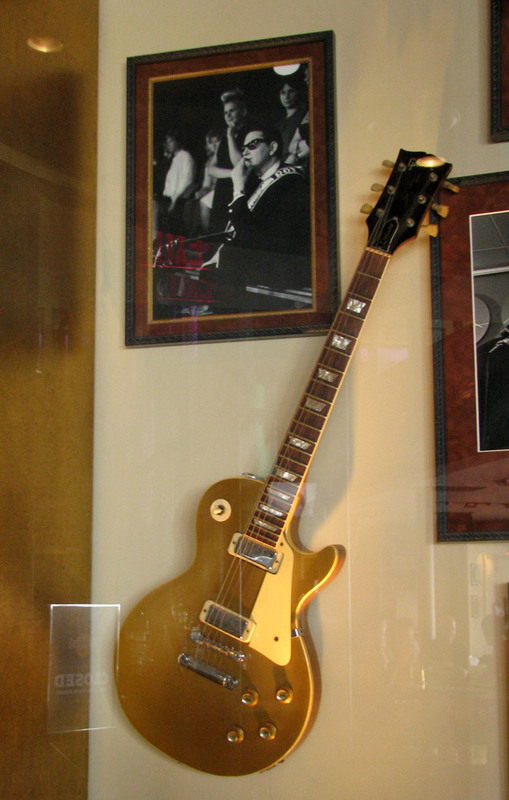 Hard Rock has the world's largest collection of such items. 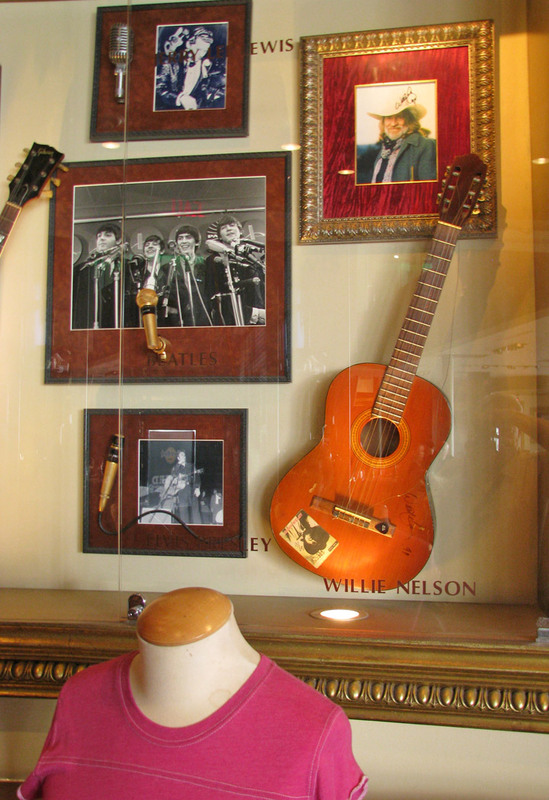 Memorabilia like autographed guitars, outfits from world tours and rare photographs are oft to be found mounted on cafe walls. 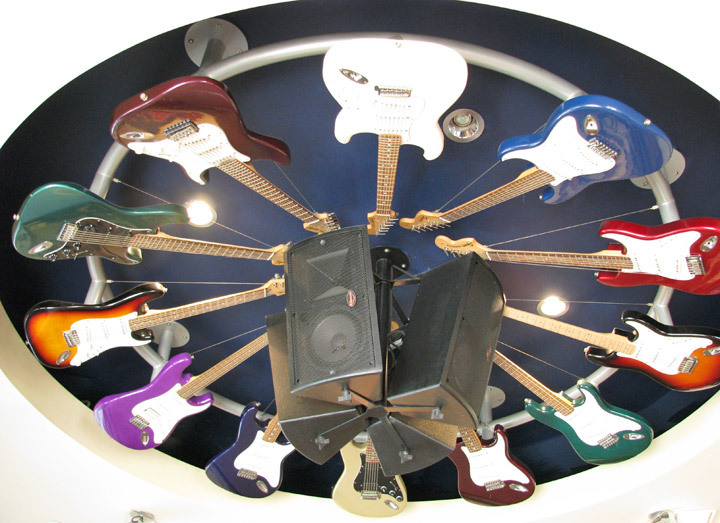 The collection began in 1979 with the gift of an un-signed guitar (a Red Fender Lead II) from Eric Clapton, who was a regular at the first restaurant in London. Pete Townshend of The Who got wind of this and sent in one of his guitars, also un-signed. Attached was a note: "Mine's as good as his! Love, Pete." 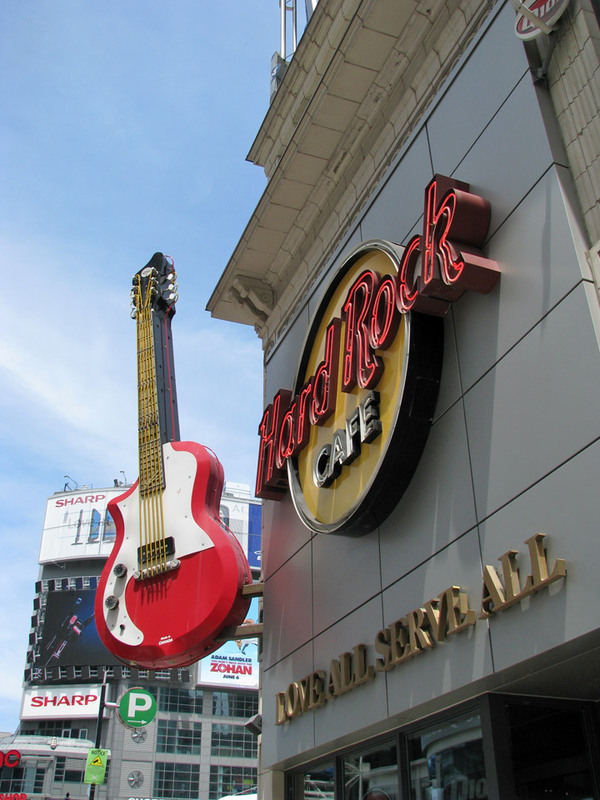 Hard Rock has so much material in its archive, over 70,000 items, that it opened a Hard Rock museum named "The Vault" in Orlando, Florida in January 2003 (only for it to close in September 2004). The London Vault remains open, located near the original cafe. In 2005, legendary hard rock band Deep Purple launched their new album Rapture of the Deep in Hard Rock Cafe London.